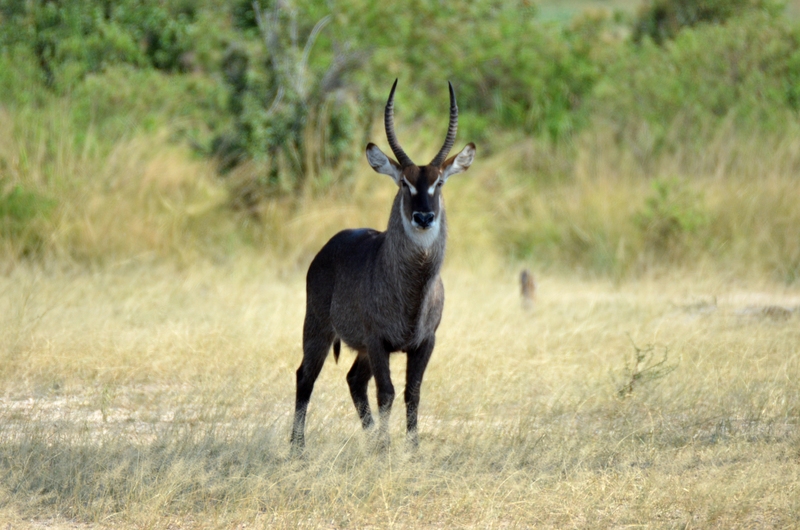 The Animals on Safari at Selous Game Reserve, Tanzania – Honeymoon Memories – Why Waste Annual Leave? I almost feel a sense of taboo in admitting that I have one favourite holiday above all others. It seems too simplistic, too degrading, too inadequate for a sentiment so saturated with love, passion and nostalgia. Children describe their favourite colours, teenagers their favourite pop groups but to hastily use this one-word adjective to make a distinction between so many cultures and continents, so many memories, it feels unnatural. Yet, I find myself able to do it. And with conviction at that. The run up had been a manic few months, juggling a critically important exam, qualifying after years spent in training for my career, packing for a house move and applying for new jobs – oh and planning that wedding! At such moments, they say you should keep your eyes on the prize. 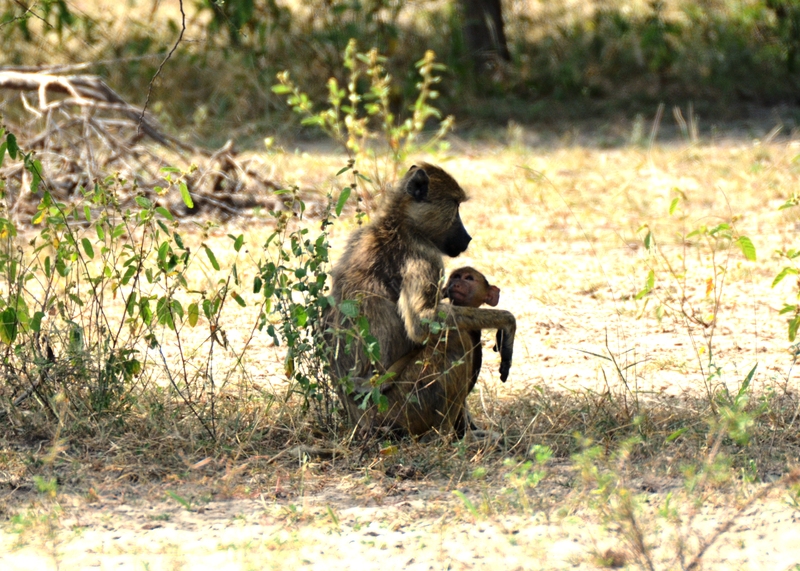 And this trip (still my favourite ever) to Selous in Tanzania was very much encompassed within that prize. I last wrote of this beautiful region in eastern Africa one year ago. I gave an overview of the little touches of romance and luxury that we found at the Selous Luxury Camp, the surprise picnic they threw us and the ten members of staff, who came to sing us a goodbye song as we left, a level of attention unfamiliar to us but one which made us feel so welcome. I planned to write a second post to allow myself space to share photographs of the wildlife sightings and the lush landscapes but here we are, a year on, and only now have I found a spare moment to do so. 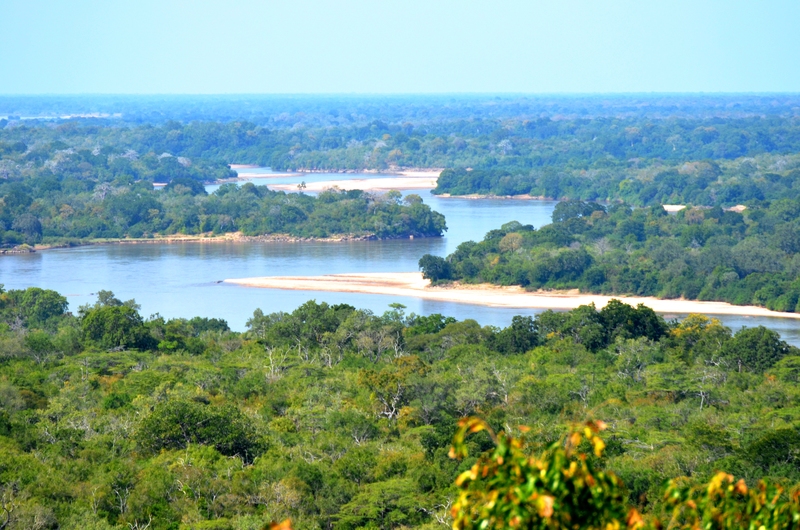 You’ve heard of Kruger National Park, Masai Mara and Serengeti, the last in Tanzania itself so why had we chosen Selous, a game reserve which rings far fewer bells? Tanzania was always the country we had in mind. After hearing of its beauty, I had dreamed of doing my first safari there and for Pumpkin, who was very well travelled in southern Africa, it was one of the few countries he had not yet visited. 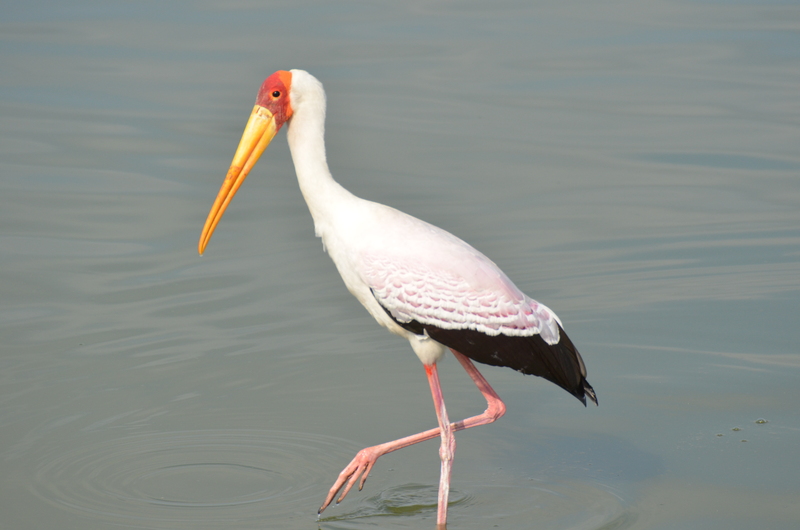 Selous is seriously off the beaten track in comparison to its more famed safari siblings and after doing some research, we found this would yield some definite advantages. 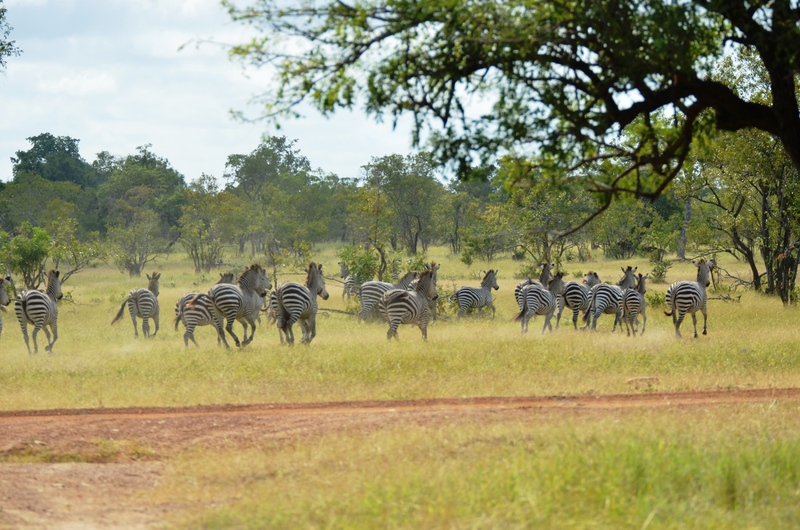 The game reserve is huger than some European countries and yet the number of visitors relative to other destinations, far fewer with just a small cluster of lodges available for tourism. 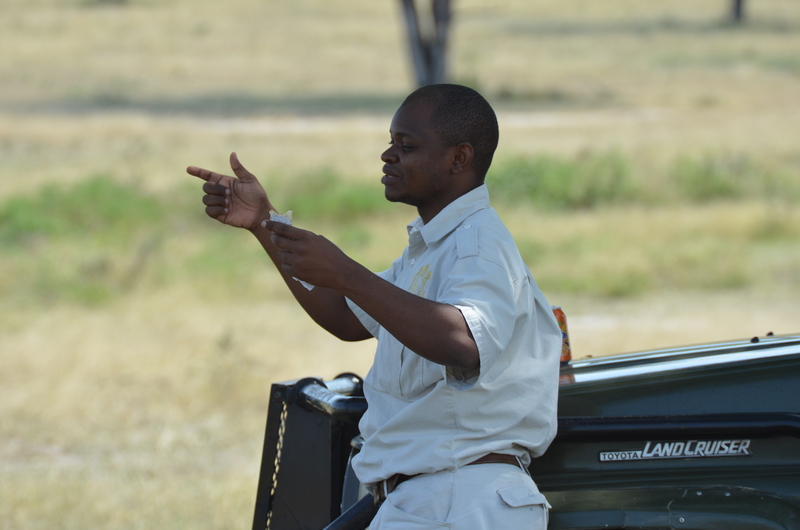 This meant that when we were on our game drives, we would see one, perhaps two other trucks on any given day and rarely more. As we drove across potholes, gazing at the unique fauna and quickly learning that the impalas of the world certainly know how to reproduce, we were overcome with a feeling of being completely at one with nature with noone around but each other, our guide Ahmed and the animals and wildlife around us. This was quite different to the safari experience I subsequently had in Sri Lanka and when we arrived in Zanzibar for the second leg of our honeymoon, we found it was also a stark contrast to the many other honeymooners we met, who told us tales of being in queues of trucks at Serengeti or Masai Mara to spot that elusive black rhino, telling us of the gift shops scattered at lodges here and there. Selous remains free of such things, conferring a relative authenticity and unspoilt simplicity and it was a sanctuary of calm for us out in the wilderness after the mayhem of a big wedding. 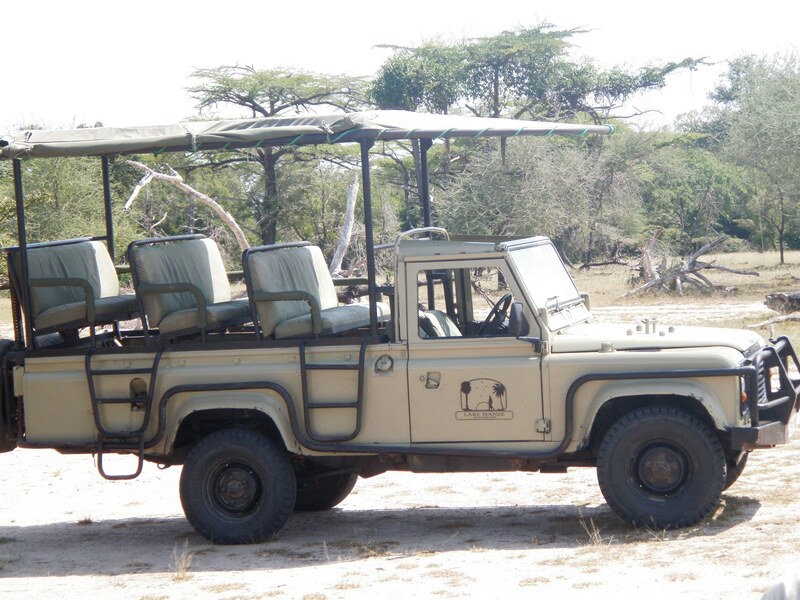 Many tourists do the Serengeti, Lake Manyara and Ngorongoro Crater route, involving a lot of time on the road, whereas in Selous, we were able to stay put for several days in one location. This isn’t to say for one moment that I imagine the other locations to be anything less than magical. 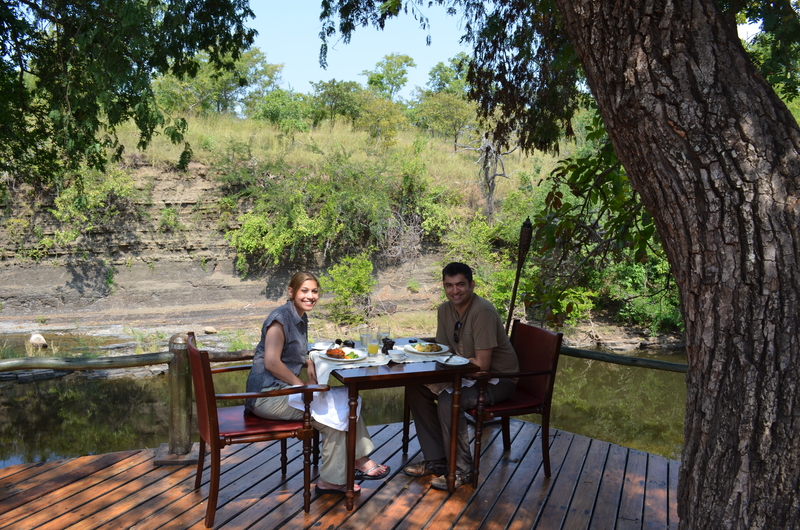 We kept changing our mind before we booked and it would be a dream come true to return to Tanzania and visit Lake Manyara, Ngorongoro and Serengeti one day but for a honeymoon specifically, we loved the peace and privacy in Selous. We arrived in early June, just as dry season had started, which is still a little off peak and with the exception of one couple who left the day we arrived, we essentially had the entire lodge to ourselves! 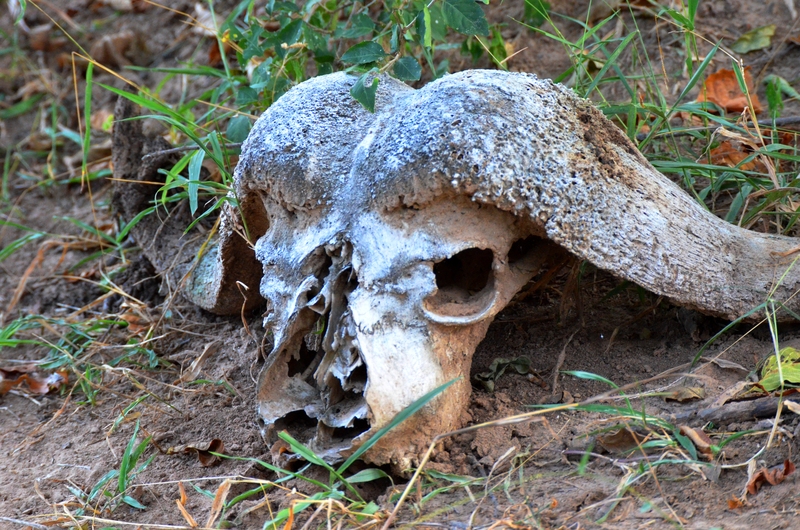 I hadn’t really known what to expect in terms of animals on safari at Selous. Looking back on it, I really knew very little about what actually goes on during a safari experience, which in a sense added to the wonderment and discovery. I had never heard of the “Big 5” until we actually reached and giggled childishly when Ahmed, told us of the “Ugly 5”. 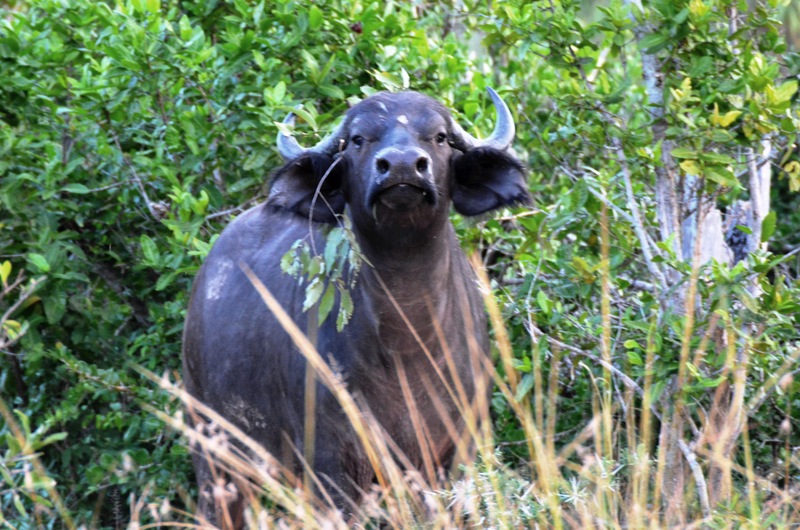 Selous is not somewhere where you are “guaranteed” to see the Big 5 (not that there is ever a guarantee with nature.) There are fewer trucks to radio call each other at sightings, the area is far more sparse and there are very few black rhino in this area, which we had been warned about that from the outset. As for the big cats, they had a mind of their own during our trip. At the time of year we went, there were still a lot of watering holes dispersed around from the residue of wet season, meaning that the animals have more choice as to where to drink, making it harder to find them. 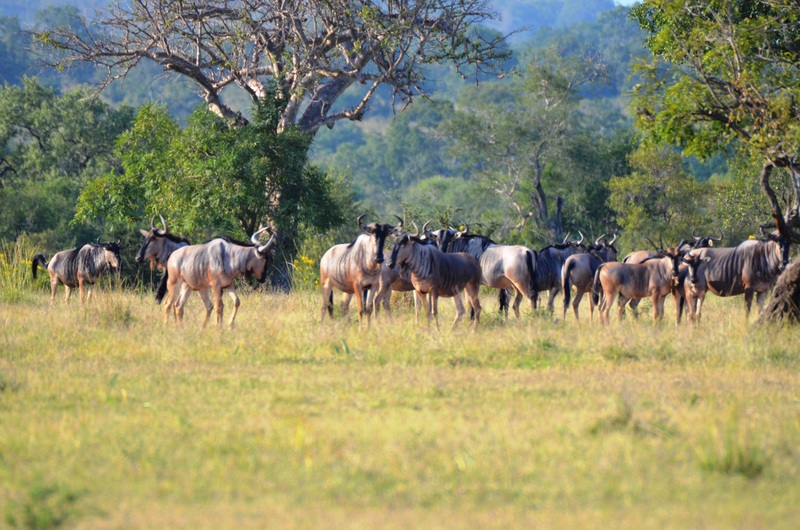 As dry season progresses, many of these dry up, resulting in more animals congregating at the same watering holes, which the guides are quite familiar with. We had never come with any animal checklists and loved that sense of anticipation each day wondering what may be round the corner but despite Ahmed’s best attempts, the lions remained in hiding, which seemed to trouble Ahmed a lot more than it did us! If, however, you are content with the sense of intrigue and adventure that comes with not knowing, Selous will suit you just fine. And considering I feel like Pumpkin’s 5’11 stature towers over me, you can only imagine how tiny I felt in the vicinity of these giraffes. I have had an affinity towards the warmth of elephants since I was a child. Just ask my Mother, who still dusts the elephant collection I have in my childhood home and still makes me tea in an elephant cup but prior to this trip, I had only ever seen Indian elephants, which are brown rather than grey and are usually smaller in size. Ahmed also told us to look closely at the ears of these elephants, which strangely mimics the shape of Africa as a continent. And then we spotted the menacing buffaloes and wildebeest. There was a striking symmetry on the fur of the zebras, who always seemed to scurry away too quickly for us to catch a close up photo. 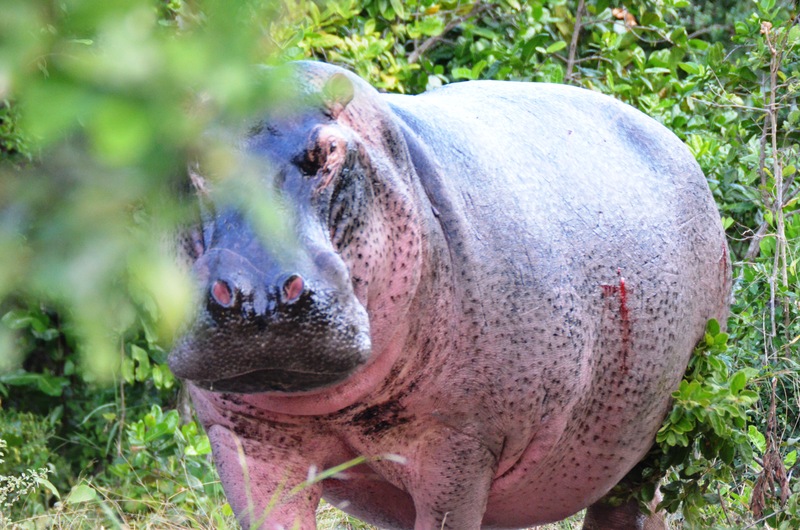 And far from being the small pink, friendly creatures portrayed in children’s cartoons, my first view of a hippo fully on land soon taught me they are not a force to be reckoned with, particularly when I saw the evidence of combat on its side! And in an environment of life and death in the wild, it is not surprising that we saw the reality of both. 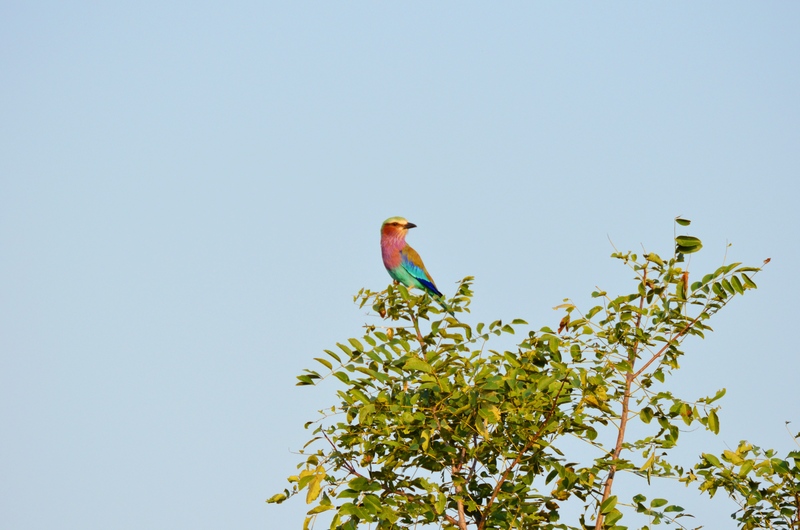 In England, I must admit, I almost never take an interest in the birds, flying above me or humming tunes through the cluttered London sounds but in the African bush, with the background din of urban life on mute, I found myself enchanted by their colours and postures. 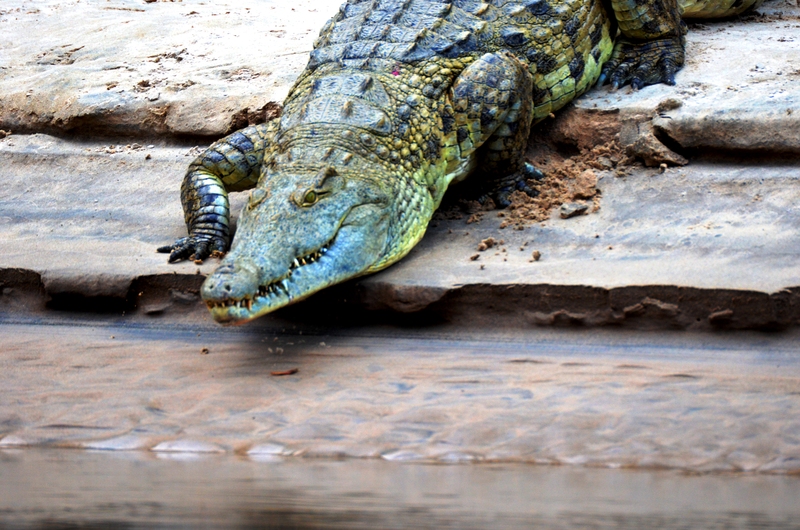 On one of our days, we enjoyed a river safari though and found this crocodile dozing lazily on the rocks. 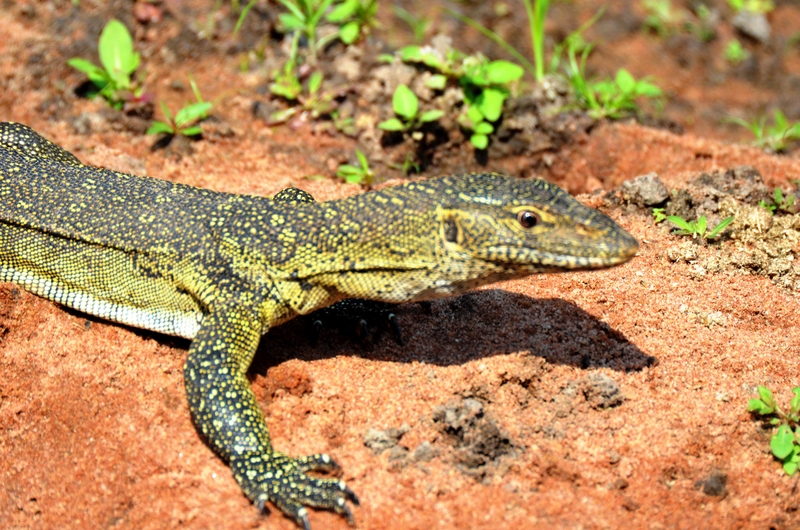 And we soon learned that a Monitor lizard and a crocodile are quite different creatures. The guest book at the lodge made a special request that guests make a note of the animals seen during their game drives at Selous and I scribbled away ferociously, like an over-enthused primary school child trying to list all that I could remember and reading the engaging accounts of previous guests. Of course I am a little biased. It was my honeymoon, it was my first visit to the continent I had wanted to visit more than any other, it was my first safari and it was a dream realised. But even allowing for that, there was a sentiment in the hearts of the local people, a feeling of liberation out in the wild, those sounds of nature that erode stress, that thrill of exploration and that sense of elation when we spotted a new unfamiliar creature in its natural habitat. Yes, despite all the incredible travels that preceded and follow, seeing these animals on safari at Selous remains my favourite ever trip and as we celebrate three years of married life, I am so grateful to Pumpkin for those cherished moments and memories and for all the love he put into arranging this trip of a lifetime. Do you have one travel experience that stands out in your memory more than all others? Thank you so much for the wishes and your lovely comment ☺ I just have so many fond memories there and I thought you’d like this post because of all the animal pics! There were just hundreds of photos so in the end, I got a little lazy and put in some of the first few I found! I think it’s great how we have this shared love of Africa and I adored every moment there but would love to have spent a bit more time out there like you’ve done in the past! 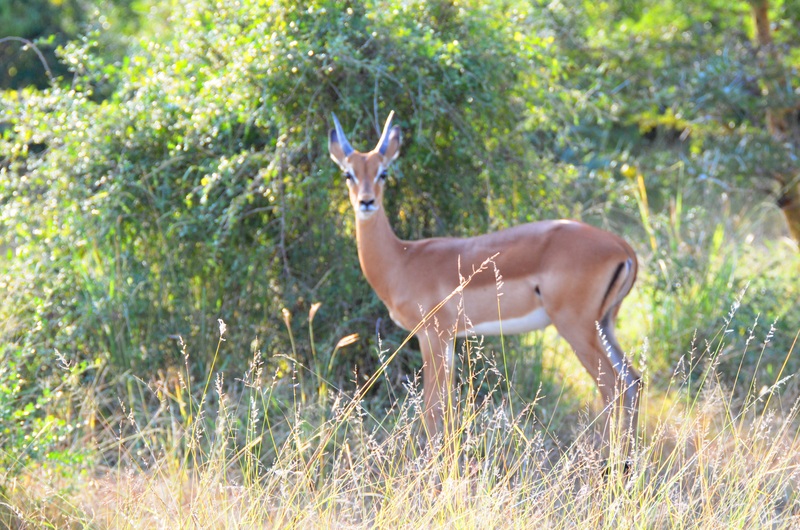 Selous sounds like a great choice for seeing wildlife off the beaten path. 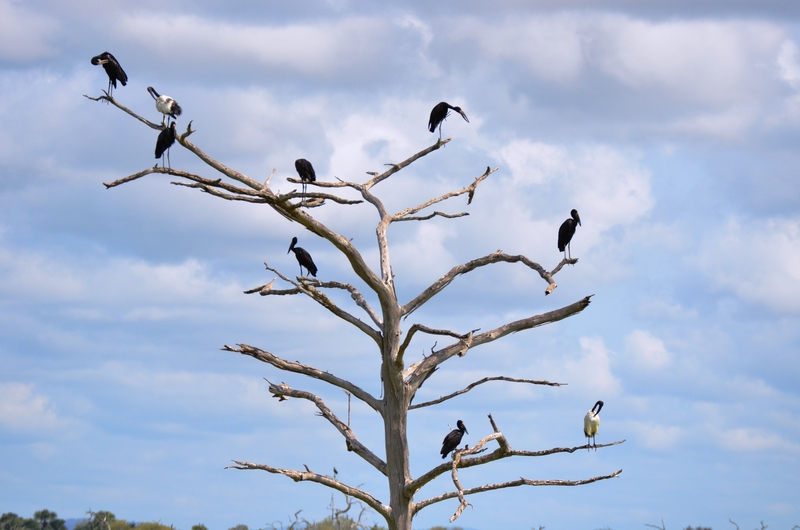 I particularly love your photo of the birds up in that dead tree- interesting composition. I would love to spend some time in Africa! Thank you Katie! Something about that visual of those birds all just perched on the bare branches just really caught my eye so I’m pleased to hear you liked the photo too ☺ Selous was just so quiet and peaceful so I think I was quite spoilt as far as safaris go but I’d still love to return to Africa and do another one one day sometime! I hope you do get visit it too and although I haven’t explored anywhere else in Southern or Eastern Africa, I can certainly say that the people in Tanzania were some of the warmest and friendliest I’ve met anywhere in the world! Hehe, thank you Frankie, so sweet of you but can I just say, in response, that you are ridiculously generous with your compliments And I can assure you, there was a whole lot of make up on the cleansing wipe that night!! The crocodile was absolutely bloody terifying! Aw, this post brought a big smile to my face! Congratulations to you two – you look breathtaking in your wedding photos. Tanzania has been on my list for so long and this only serves as a visual reminder that I need to get there asap! It looks like you had an incredible time – the warthog thing had me giggling at my desk! Hehe, we were in hysterics about the whole warthog thing whilst we were out there! Thank you so much for the lovely words Kasha ☺ hope you do get to visit Tanzania one day, I know you won’t be disappointed! Happy Anniversary!! 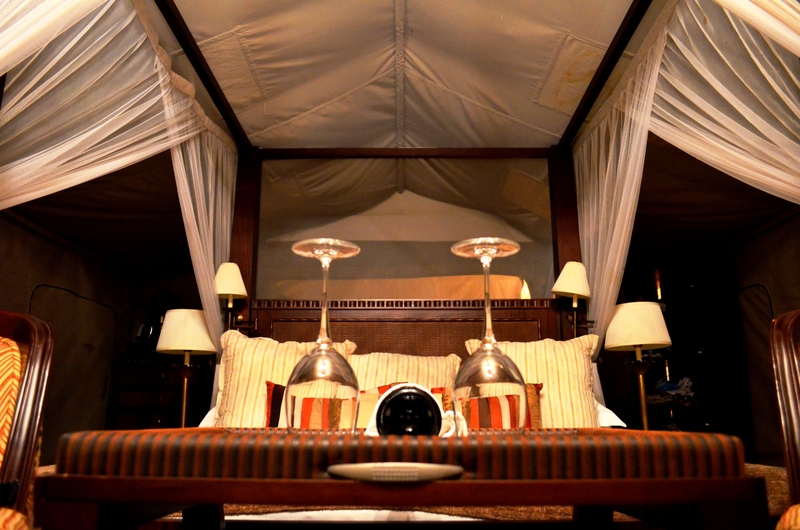 I feel the same as you, Safari stands out as the best thing I’ve ever done whilst travelling, its absolutely incredible! Right Tanzania is next on my list! And South Africa is next on mine!! Thank you for the wishes Angie ☺ And I’m so pleased that you enjoyed safari so much too. It’s such a magical experience! 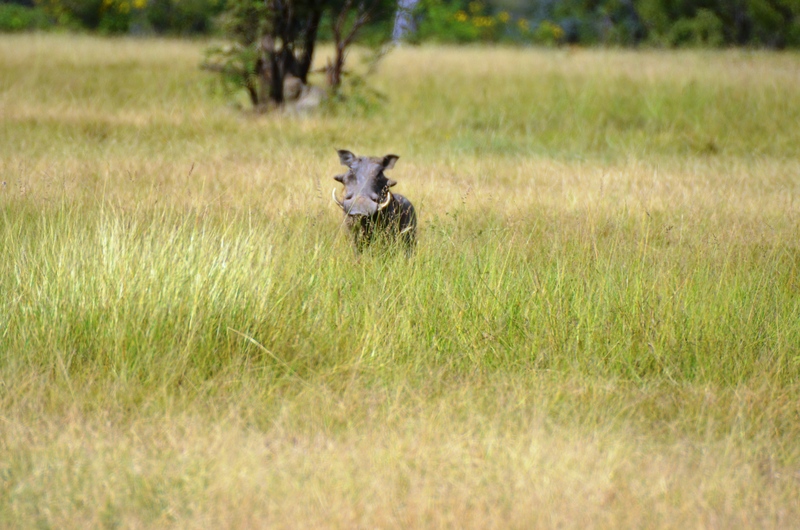 PS I think warthogs are cute!! Love the animal pics! And I agree, that warthog is pretty cool! Hope to make it here one day. Thank you so much Adam! I’m glad everyone is backing the warthog Tanzania is a beautiful country so I’d definitely recommend it if you’re ever heading that way! I am sure Kenya and South Africa are also wonderful but definitely give Tanzania some thought Polly – I promise it wouldn’t disappoint! And thank you for your far too generous compliment but I can promise you, it’s all down to the rather talented make up artist and photographer ☺ but speaking of bridal photos, I’m looking forward to seeing yours in the very near future! Ps, I think the warthog will be rather pleased with all the love it’s getting in this post! Wow this must have been an incredible experience! Beautiful photos too! Thank you Becky! It was such an amazing experience – I loved every moment! Happy anniversary! And what fantastic memories to have, it looks like such a stunning place. A safari has been one of my travel dreams for so long and hope to finally make it to Africa this year. Happy Anniversary! Wow, what an incredible honeymoon experience! 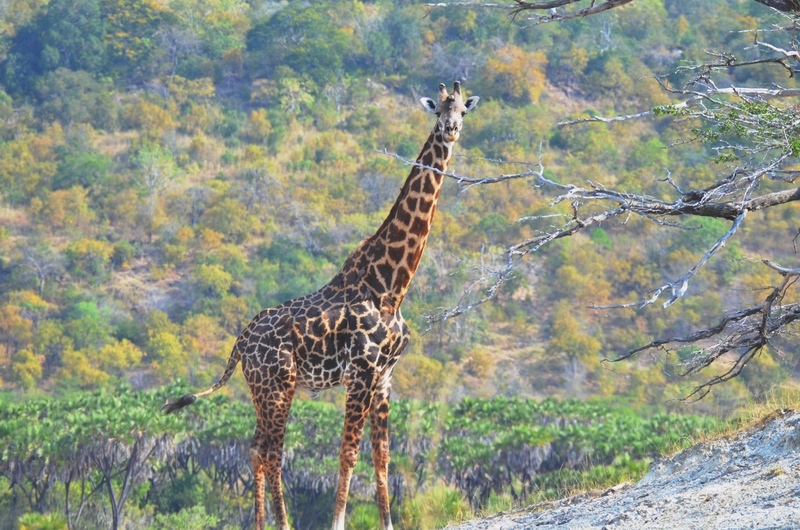 The wildlife of Africa just seems so big and extraordinary! Africa really is a continent I’ve barely scratched, more of a slight tickle– I’ve been to Egypt! Haha, I’d love to see more and go on safari to see stuff like this, see the real Africa! As for a standout travel memory? Hmm, so many! But going abroad for the first time in my 20’s and seeing bears and orca in Canada was completely mindblowing and life changing! You would love the Canadian bear experience, I’ve done it twice and I would definitely do it again. We travelled to BC both times on a two week hols from work, exploring Vancouver, Vancouver Island and up to Whistler, hiring a car. Mini road trips really! Go! Thank you Jodie! 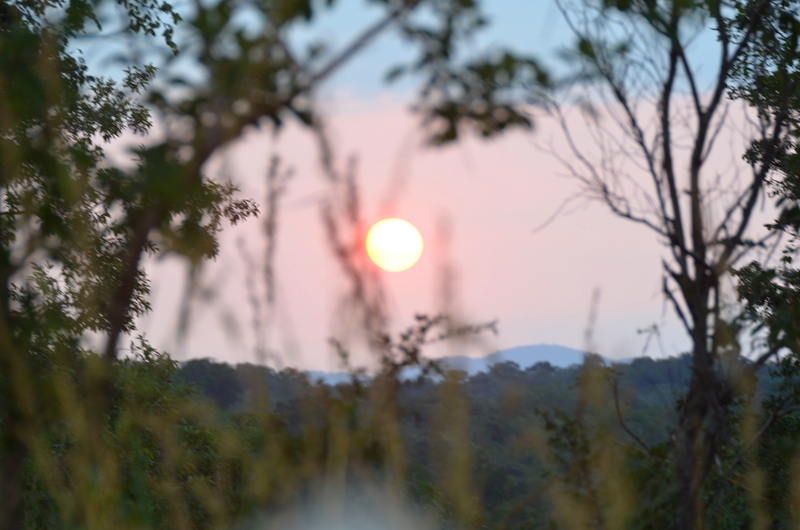 It really did feel so remote, which was a lovely way to be introduced me to Africa and made for a really peaceful safari, though I must admit, I do really want to visit South Africa too one day and probably try another safari there if I can. Which park / game reserve did you visit when you were there out of interest? Happy, happy anniversary! 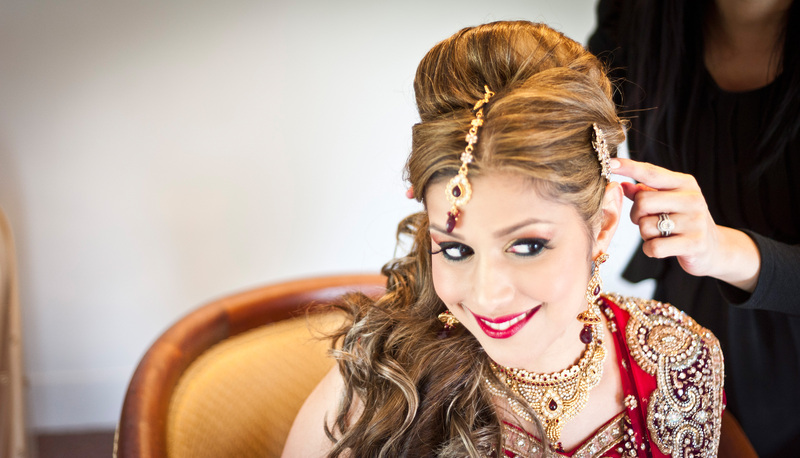 You look stunning in your wedding pic; so beautiful! Aww thank you so much Char! Can’t believe how the time has flown since the wedding, still seems like only yesterday! 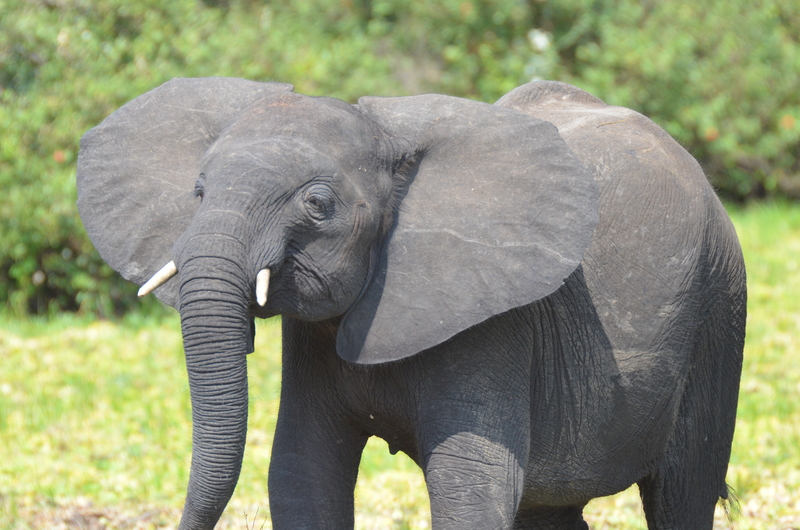 Such a shame that you didn’t enjoy your safari – where was it incidentally? Mother Nature is so powerful! Beautiful place. Definitely on my bucket list! You’re absolutely right Agness! Perfect way to describe it! 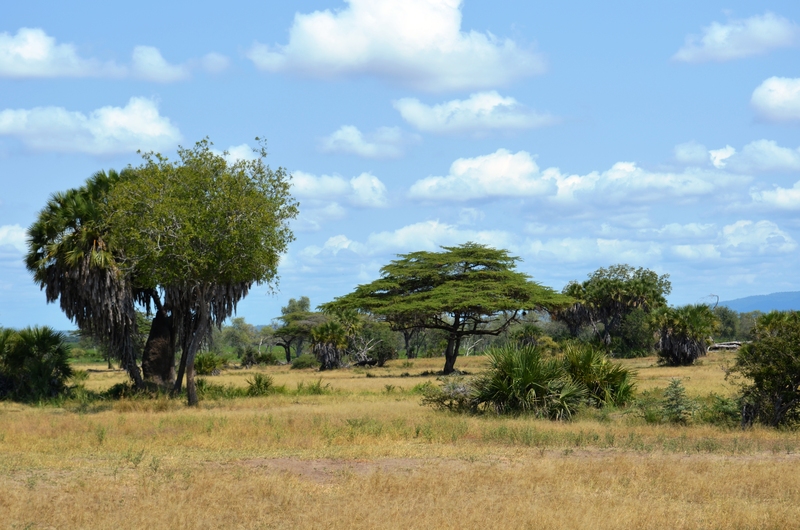 I would highly recommend this part of Tanzania if you ever go there! Thank you for such a sweet comment Emily – so kind ☺ I knew you liked cats but didn’t realise you were an animal lover overall but in that case, you would absolutely love safari! It’s funny I never expected to enjoy it as much as I did but it is a really magical feeling seeing them in the wild! It must be really amazing!! I have to do it one day!! I’m a bit late, but happy anniversary Shikha! And you look SO beautiful in that picture with the Indian outfit!! I loved reading your safari experience. More than anything, I want to go on an African safari and see animals out in the wild. I don’t think I would care either if I didn’t see any lions or cheetahs! Your captures are gorgeous, and I especially like that picture of the hippo. I can imagine how intimidating it must be to come face to face with that! I think I would probably go for a smaller, less well known park too. I’m glad you finally had the time to share this with us! I’ve heard about the queues at the Mara and Serengeti, the tour drivers are usually in communication with each other so when one spots something interesting he alerts the others and everyone comes rushing. I think the best way to avoid this is to travel during the low season. I’m yet to have that one memorabl trip, till then I’ll just continue collecting memories. Thank you so much for the wishes Rachael! Yes I think you’re probably right about low season, I would love to go to Serengeti or Masai Mara one day and will definitely try and keep this tip in mind if I do. Pingback: A Mad Hatter’s Brunch in London | Why Waste Annual Leave?